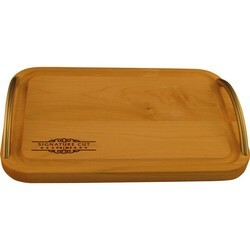 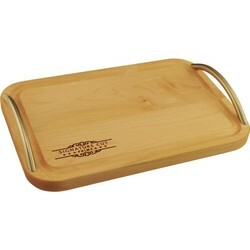 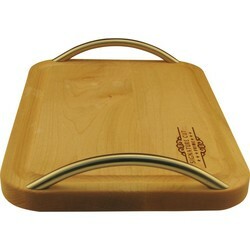 Wood Carving, Cutting & Serving Board, 12 x 8"
This solid 3/4" thick maple board is for more than just cutting. 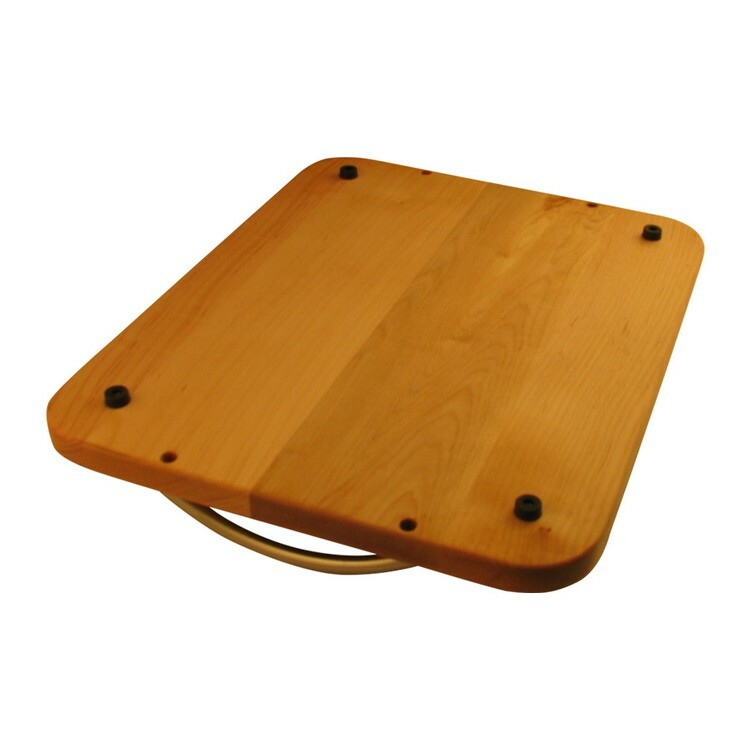 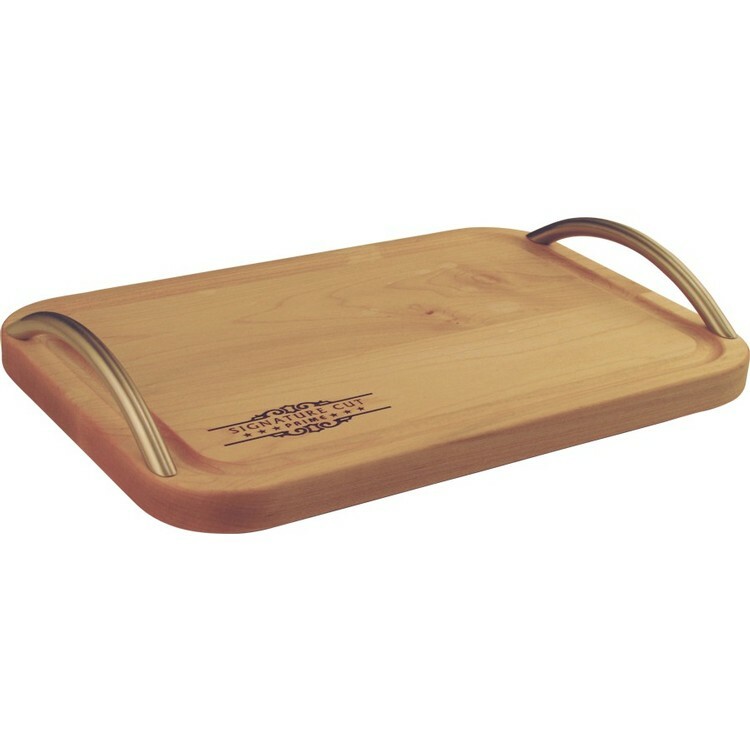 Solid stainless steel handles allow you to easily carry and move the board and It also has four non-skid rubber and stainless steel feet to elevate the board off the table. 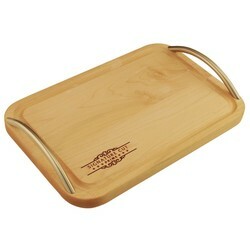 This elevation provides a flat and stable surface for carving and the juice groove keeps foods and fluids from the edges. The stylish board looks good from the kitchen to the table and all USA made. Wood is the best and safest material to use for the making of cutting boards.Permanently laser engrave your name and message into each 3/4" thick maple board for a long lasting and useful gift. 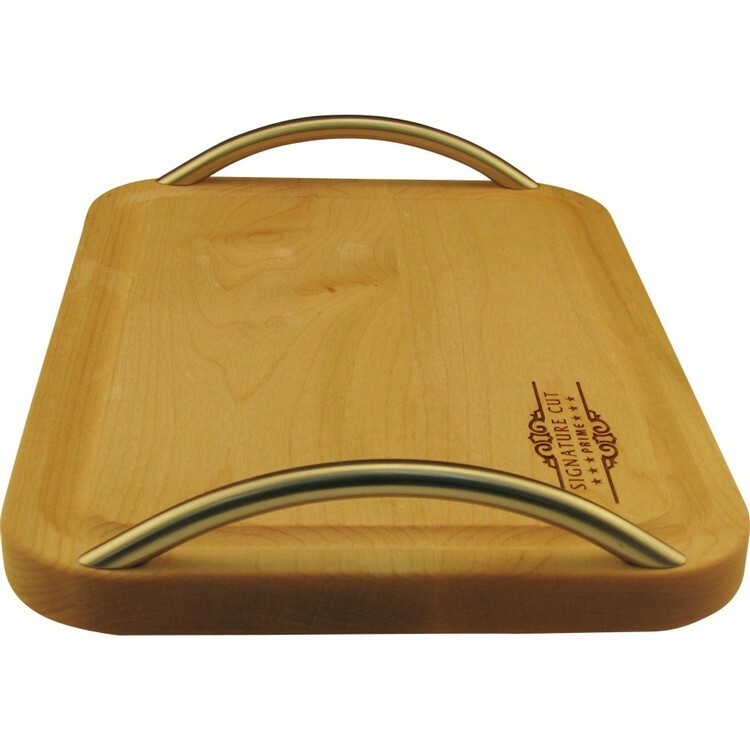 Price includes a one position laser engraving, application of FDA-approved food-safe oil, poly-bagged, care instruction card and box.